What will you do to improve healthcare? Casey Clark, CFA, is a part-time MBA student at NYU Stern School of Business and co-founder of a health-tech startup, Savita Tech which utilizes emerging UV-C LED technology to combat hospital-acquired infections (HAIs), saving lives and reducing healthcare costs. Casey shares his perspectives on participating in NYU's very first Healthcare Innovation Makerthon. 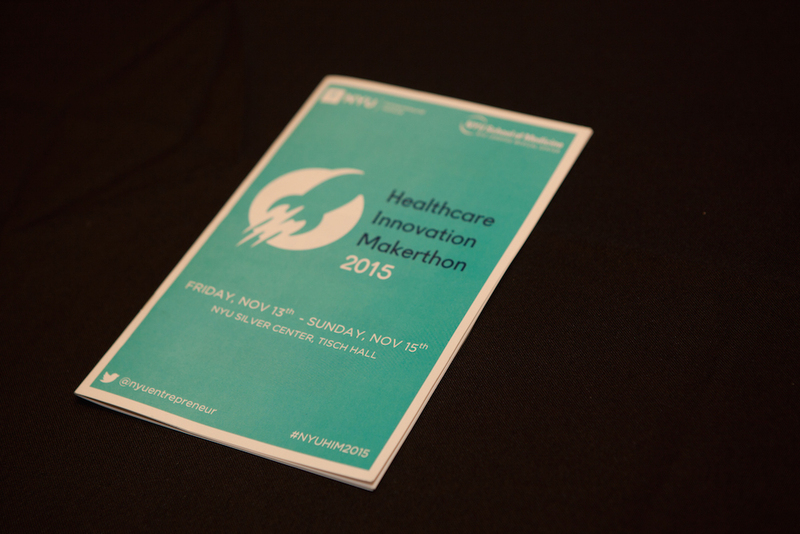 Involvement in NYU’s Healthcare Innovation Makerthon should be considered a must-do for anyone interested in the healthcare space. The competition is not solely designed for medical professionals, creating a diverse environment of individuals across all disciplines. To quickly summarize, the Healthcare Makerthon is a three phased program – Problem Pitch, Makerthon weekend and Venture Support – which is a great opportunity to learn, connect, and collaborate, and build new healthcare solutions. The application to enter the Makerthon starts with a simple submission of a “problem” that you have experienced or witnessed. No solutions are required at this point. I am an MBA student who has never worked in the healthcare field, but the program intrigued me, as I was able to submit several pain points that I experienced while caring for loved ones. The Problem Pitch application process was easy to fill out and allows for multiple submissions. I ended up submitting around eight problems. Then the folks from the Langone Medical Center and Entrepreneurial Institute selected the top 20 problems – out of nearly 300 submissions – deemed most critical in today’s healthcare environment. The winners got a chance to pitch their idea in front of a panel of judges from the healthcare industry and a packed room of observers. The judges whittled the list down to the ten most important issues, which then progressed to the Makerthon mega-weekend event. This is where the fun begins. 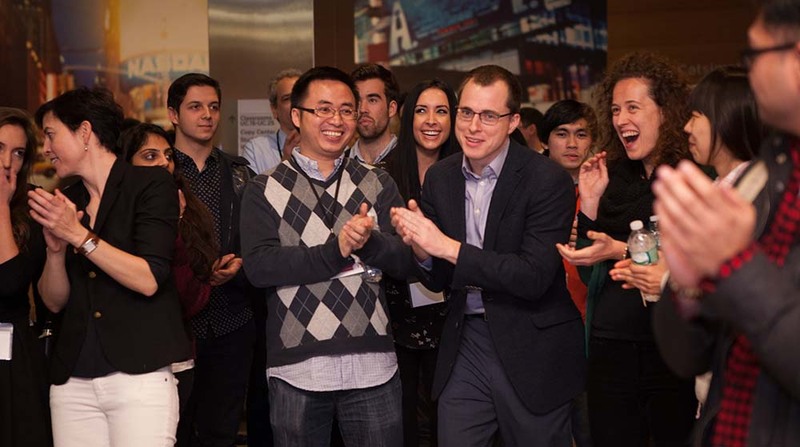 The Makerthon festivities began on a Friday night with the winners pitching their problems to a room full of doctors, nurses, engineers, and business professionals, including an impressive mix of faculty, graduate students, and undergrads. The rest of the evening was spent talking to people interested in helping you solve the problem. Let me take a step back, prior to this event, I had a pretty difficult time of building a network of engineers and medical professionals that could help. If you are running into this problem, then you must attend the Makerthon weekend, whether you are pitching a problem or not. I was fortunate enough to attract infection controls specialists, microbiologists, and engineers – all the people I needed to create a viable solution to take my idea forward. With my team assembled, we started early Saturday morning with the help of some great mentors and industry experts brought together by the Entrepreneurial Institute. It was a high-energy, virtually electric environment. It really is something to experience, particularly for people who have never been involved in a hackathon/makerthon before. We worked around the clock on Saturday and Sunday to develop a solution and pitched our idea in front of an impressive panel of judges at the finale on Sunday afternoon. To my amazement, our team was one of the four winners. We received money for prototyping and access to venture coaches to help us turn an idea into a company during Phase III of the competition. Our team, Savita Tech, currently in the first month of Phase III, which is a six month process. We quickly realized that the support from the Entrepreneurial Institute and mentors have been far more valuable than any sum of money. This well-organized phase adheres to the Lean LaunchPad startup methodology. It provides necessary structure to the chaos that is a startup and allows us to focus our efforts. We meet with the mentors every other week, presenting our findings from customer discovery interviews, business model canvases, financial analysis, competitor analysis etc. With their guidance, insurmountable problems seems manageable. And the dream of a startup starts to feel like a reality. Join us at the 8th Annual NYU Entrepreneurs Festival on March 8 & 9! Tracing its roots to the launch of the NYU Innovation Venture Fund in 2010, the NYU Entrepreneurial Institute leads a university-wide initiative to accelerate the pace of technology commercialization and the launch of successful startups founded by NYU's 60,000 students, faculty and researchers.